Looking for a quality car or used SUV that won’t break your budget? 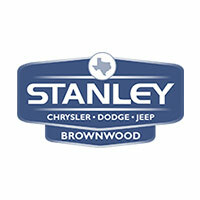 Stanley Chrysler Dodge Jeep Ram Brownwood offers a wide range of vehicles to fit your lifestyle. Find a truck, like a RAM 1500, for your towing needs or a compact SUV, like the Jeep Renegade, with affordable financing at Stanley Chrysler Dodge Jeep Ram Brownwood near Eastland. Still looking for a cost friendly option? Check out our pre-owned vehicles under 10k and contact us to schedule a test drive at Stanley Chrysler Dodge Jeep Ram Brownwood today.